Sometimes, my projects don’t turn out quite the way I had hoped….. I decided I was really sick of this coffee table one day. There were a bunch of dings and scratches – which I now realize I could have easily sanded and restained. But no, I had to forge ahead and stain it a different color. I did no sanding, no prep work at all. Not smart. Here is coat one going on in a random circular fashion. This was a mistake because it dries this way instead of in the direction of the wood grain. First coat done. I am starting to realize it looked a lot better before. Coat one vs. coat two. Now I am painting along the wood grain and am mildly hopeful this is not a total disaster. This is what the table looks after three coats of stain. Not loving it. It also took FOREVER to dry, a whole week. See how the table has a shine to it? I thought that would be the finished product until it REALLY dried to a dull matte that shows every fingerprint, piece of dust, magazine imprint…. I like this mid-century coffee table from West Elm. It has a 34″ table top, but I need one that is 48″ – so that is an additional expense to have a bigger glass top made. This little project has cost me a lot of money! Or, sand it all the way back to the wood and start over? WHAT SHOULD I DO????????? sand it back down. It’s a flat easy surface to sand. The table is perfect, just sand and re-stain. If you have electric sander it would be a cinch. Agree – what a mess! 🤣😂🤣 go to the beach. Have you considered chalk paint? It covers everything (no prep) and can be waxed to your desired finish (more shiny than matte if you like). Ok so admittedly not your best work but onward! Glad you showed the missteps w your triumphs! I’m w Sherry back to sanding as the wood grain is beautiful but i do like west elm table. Or do both — get yourself new table and go w chalkboard paint – might be fun for one of the girls’ apartments! Oh the late night messages we would have written! 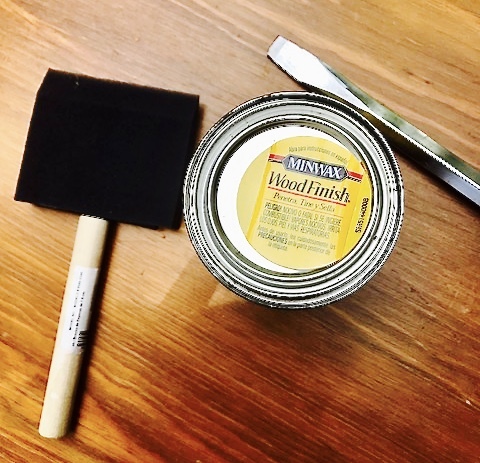 Love your idea of chalk board paint for a college student or graduates apartment! Time for a new piece Elizabeth! Love, love, love West Elm!